It’s been over a month since Google launched it’s much publicised “Mobile search update”. In this post we reflect on the update and provide some cold hard facts that cut through the nonsense and scare mongering. On the lead up to the launch of Google’s mobile search change, I’d bet my kids that you would have received numerous emails from unscrupulous web companies using various scare tactics to attempt to win your business. I received so many calls off the back of this spam from a wide range of our customers. These blanket spam emails were sent out regardless if a website was mobile ready or not. Although some of the points made in these emails were partly true they all followed the same general undertone… “If you don’t have a mobile ready website your website will drop from Google”. On the 21st of April 2015, Google updated their search to include a new algorithm to weight mobile optimised web pages higher than pages designed for only desktop browsers. This wasn’t a surprise, in fact Google had made suggestions and announcements a long time before the update. However on the day Google confirmed exactly what this all meant. Here’s three things to consider when digesting this information. 1. Mobile Online Search – Mobile optimised websites should only receive better rankings when searching from a mobile device. Common sense really, this means if someone searches from a desktop they will see no difference. 2. Scare Mongering – The majority of marketing emails sent out by other agencies have given the impression that your website will completely drop out of Google if you don’t update your website immediately. This just isn’t true, Google have a habit of making big changes but making big changes over time. Research is showing that mobile websites are having a nominal improvement across various searches. There is definitely a difference, but not as big or severe as you may have been led to believe. However beware as Google will be sure to turn this setting up over the coming year or years. 3. Are Your Competitors Ready – With so many companies stuck in the same boat you probably have more time than you think. If you check, a lot of your competitors probably aren’t mobile ready either. This gives you some added time to get your site updated to take advantage when Google increase their weighting in the mobile algorithm. 4. Pages Not Entire Sites – Currently the new algorithm ranks individual pages and not entire websites based on their mobile readiness. This means a quick fix could be put in place for your most important content pages. 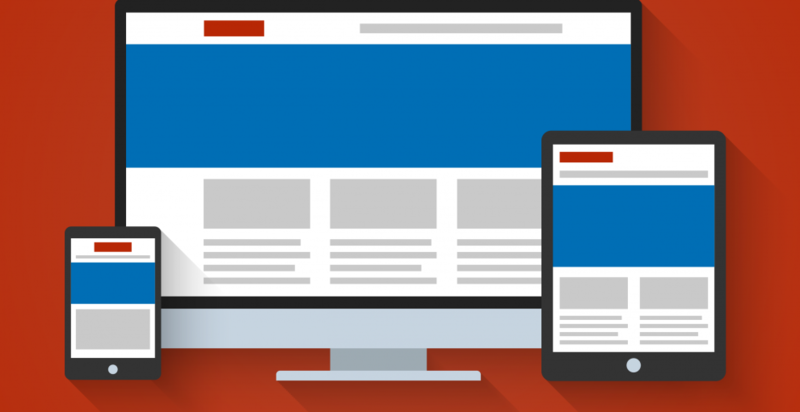 So should you have a mobile ready website? Yes without doubt you should! But not because you’re going to drop out of Google and never receive a web lead again. You should have a mobile website because it’s what your visitors want and need. Some business sectors are now seeing 80% of their visitors browsing using a mobile device. Not giving a dedicated mobile website will give a terrible user experience to your customer they will likely get frustrated and move on. So our conclusion and advice is, don’t get a mobile website because Google tells you to. Get one because your visitors do! up. This web site is one thing that’s needed on the internet! Hi Ola, Thanks for the great feedback!